I would think that driving a Lamborghini would be impressive enough. Amosu Luxury is looking to step it up for all the Lamborghini drivers out there. 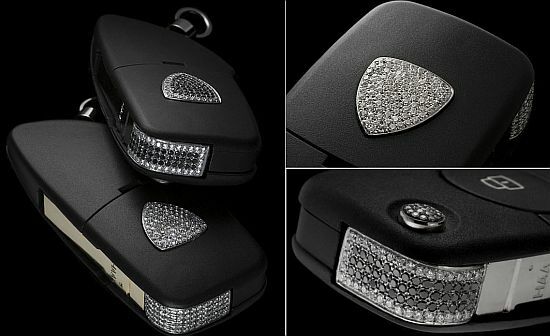 Amosu is offering to bling out your Lamborghini keys with 183 diamonds which adds up to a total of 2.02 carats. Icing out your Lamborghini keys with diamonds won’t be cheap, it will run you about $10,500 but when you think about it who else has diamond studded Lamborghini keys?